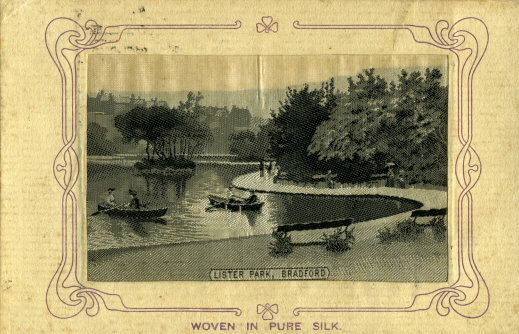 A GB silk picture postcard showing Lister Park, Bradford. It was sent at 1/2d. rate but because the silk picture was stuck to the card, it should have had 1d. stamp.